YouCalc Dashboards, sometimes also called “Dashboard 2.0”, are visual reports in SuccessFactors. YouCalc Builder is a 3rd Party Tool from SuccessFactors. Some of the Dashboards are predelivered by them or built by Partners like us. These Tips & Tricks are dedicated to the great YouCalc Builder Community out there. Just giving some knowledge back and hope you find something you may not know yet. Pivot is a great thing, and not just in Excel. I barely use any Dashboards without using the Pivot function at least once. It is just great for aggregating data. Next to the beginner tip, that you should change the labels to numbers after creating the Pivot, experts should know that there are two more option you can use. Sometimes you have not all the data present. For example, you may have four groups of people, but in the last group there is no one in yet. You can force the column or row telling the pivot to respect a set of groups. In the example below, I’ll show you how to connect a simple grid with the groups you need. This forces the Pivot to show all groups, even if they have no people in. Another thing is if you work a lot with numbers. You may need it after aggregating data or just because the customers want a “0” instead of nothing (in YouCalc = null). Instead of building an IF Condition to check if the Cell is nullorEmpty you can just duplicate the entire grid and multiply it with „1“. If the field is empty you will see a 0 instead of a blank Cell. For me this is more a bug than a function. I recently had the request to build something, where I had to change the Status Labels. I really want to avoid running 5-6 Level IF Conditions and was checking if there is something I could use. I fell over using VLookup. I also found an example which works really nice with numbers. I built it in my Dashboard, but it wasn’t working. I tried different things but nothing helped; I also raised the question in the YouCalc Group. Turns out that I should avoid using it and use a LeftJoin instead. Both example for you to review. Every one of us knows IF Conditions. If a Condition (Logical) is true or false, there is a specific result or action. In the picture below you also can review the description of an IF function in YouCalc. The important part of the IF function is to define the Calculation Type. Meaning, if the Condition should be checked per row, per column or overall. Depending on this the Condition will test the Cells and reflect the results accordingly. Example: IF the number in Column 1 is greater than 0 make the Cell Background green, IF Not make it red. So each row will be checked and it could be green or red. Execution-IF varies a bit from the normal IF Function, because it just checks the condition and the result is not row-, column- or overall-based. I am not a native speaker so you maybe understand it better reading the description below. Again, there is not a Calculation Type here. Example: If there is a Number in Column 1 than do another Calculation. If not than just leave this table blank. The YouCalc Inspector deserves its own article, which will hopefully follow. Partners can access this information directly from JAM, where Emilis Panovas explained some parts of the YouCalc Inspector. Please feel free to review the original information as I will just quote a part out of it. I didn’t used all possibilities yet that’s why I want to explain one feature. First of all you can activate the YouCalc Inspector by holding SHIFT + I for a few seconds, till you see a transparent overlay over the widget(s). That works for ever YouCalc Dashboard, no matter if it is located at the Homepage, Dashboard Site or at the People Profile. “The Models mode gives you a dependency and data type view of the entire document, actually, of the parts that have been calculated. 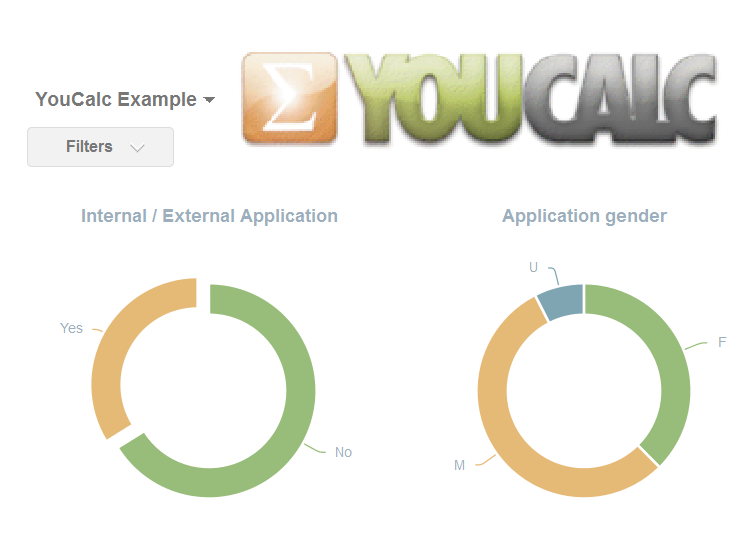 It is the same representation as function area dependencies in YouCalc builder. On the left you have all the models in the document (list is sortable), which is somewhat equivalent to Project Explorer in builder. Then you have dependency view, where the left part is inputs into the function, middle is the model you are looking at, and right is all the other functions that use this model. Each model will have properties and data views that you can see by mousing over the link. 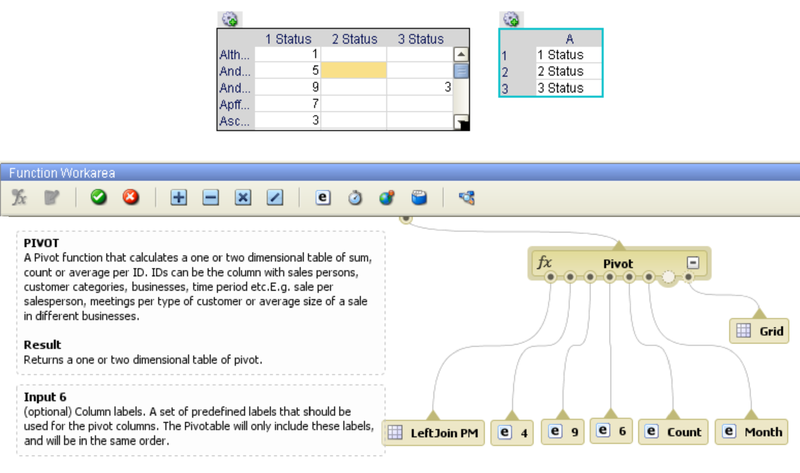 Properties will show the property tree, similar to properties panel in the builder. Data will show a data type view, similar to a grid view in the builder. Unlike in the builder, you can see intermediate results here (even for embedded functions). Data shows only data types and not actual values, however. This is done to avoid security concerns from security team. There is one shortcoming of the Models view (besides, data types only), is that all inputs and outputs are not sorted and come in random order. So it is handy to have the epix file open in the builder. For example, if you look at pivot function that takes a billion inputs, it is sometimes very hard to tell which input is which, without looking at the epix file itself in the builder. I normally use the Models View to investigate missing data issues. For example, if chart is empty in production, but not empty in builder, this typically means that it is a missed corner case in logic. I would start in inspector from chart visualization, look at the inputs and go down the tree until I find a place where data disappears. Then I would look at the logic to figure out under which conditions can this occur. Often, there’s problems with filters, as a CSV file might parse the value as a number, but an adhoc report returns value as string, then you filter based on a number value, which does not match and filters out the entire grid. So, if I check the type that I am comparing to in the filter, and the type of values in the column that I am comparing to, it might become obvious of what the issue is. A final note, the Inspector was kind of an experimental project that we did to ease up our own investigations from engineering side, so expect bugs, basic UI and inconsistencies. However, if you do learn it, it can often times speed up debugging drastically. At this point I need to send a big THANKS to the Reporting Team of SuccessFactors. All Product Experts are super helpful and easily accessible. They always respond super quickly! I have to highlight Emilis and Soren in YouCalc and Lyndal for ORD and Plattform Reporting questions. You guys do an excellent job and helped me a lot to provide the best solutions for our customers. Not to forget are several members of the JAM group, who are always helping each other out and share their knowledge. You want more Tips and Tricks? Read and add your Tip in the Comment Section! How can I download it? I need to delivery the best solution to one of our clients. Excellent explanation and we really enjoying the new features in SF Work force Analytics application.